Whether you are traveling for business or pleasure, the network of Amtrak railways has plenty of routes available across the United States, and some spectacular scenery to enjoy along many routes too. However, many people do get frustrated with trains that don't always run on schedule, and the prices of tickets aren't always the cheapest either, and while there won't usually be much you can do about when the train will run, there are plenty of things you can do to make your journey cheaper and more comfortable. 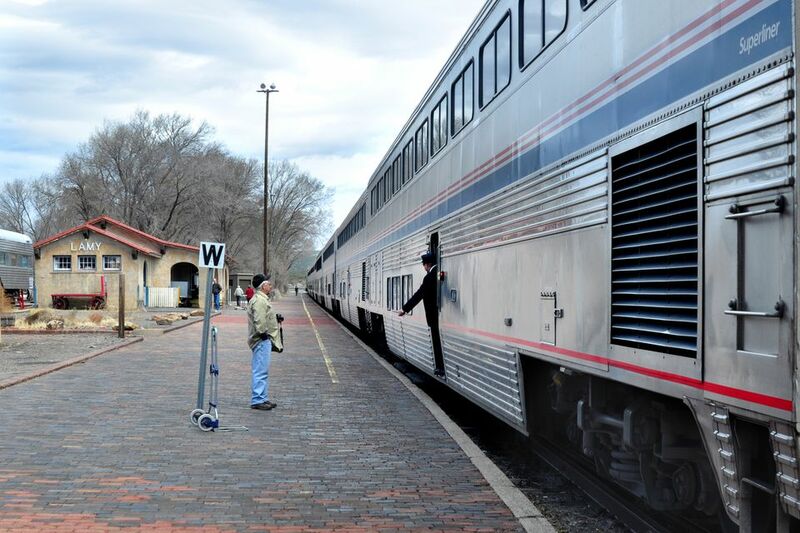 There are a wealth of different discounts available for those who travel on Amtrak, and while some are available for members of certain organizations, others are simply discounts for certain parts of the population. Those who are students, international students, military veterans or seniors are eligible for discounts, while there are also discounts for disabled travelers too, with 10-15% off for all these people. Members of the American Automobile Association (AAA) get 10% off tickets, while members of the National Association of Rail Passengers (NARP) get the same discount. The Amtrak Guest Reward Points scheme is run through a website that you can get to through the main Amtrak site. However, as well as saving reward points from your journeys, the website has the option to buy guest reward points. The intended purpose is to allow you to top up your reward points for a particular journey, but always check the price in points against the price in dollars, as in some cases it can be cheaper to buy the points and redeem for your ticket rather than to buy the ticket for your trip! The general rule for buying tickets for Amtrak is that the prices will generally increase the closer that you get to the date of the journey, so buy your tickets as soon as you are certain when you will be traveling. It is also worth keeping an eye on journey prices after purchasing your tickets, as if you do see the price go down, Amtrak will generally adjust your fare with the difference. Unless you are boarding at a small railway stop, most large stations will have somewhere to store luggage, and you can leave your luggage at the station up to 24 hours before the train departs. This is perfect if you want to enjoy the last day of your trip, and are returning home, but don't want to spend the day carrying your bags around. In terms of cost, the dining car is generally the most expensive place to buy food on the train, with the snack cafe offering cheaper food, but one great tip is that they will give you free hot water if you want to bring instant noodles or soup with you to eat. There is also no problem with bringing luggage with you, so adding a cool-box with a picnic and snacks for the journey is one great way to save money. If you are regularly using Amtrak for your trips, whether they are for business or pleasure, it is well worth using an Amtrak Guest Reward Points account to build up points that you can then use for free journeys. It is also worth getting the Amtrak Guest Rewards credit card, which will allow you to accumulate points on spending on your day to day expenses, while you will also get a healthy points bonus simply for registering for the card. The cabins or roomettes to be found on Amtrak trains are a little more expensive than the usual seats, but you will sometimes find that upgrades can be quite inexpensive if you speak to the staff on the train. However, remember that even if you're not in the sleeping quarters you can still get some sleep, so bring a blanket and a travel pillow. Most people find that the seats in the observation cars will often have a little more space to relax and stretch out and fewer people there at night, and are a good place to catch a few hours of sleep. Make friends with the staff on the train, they are there to help you and if you tell them what you want, such as a break to stretch your legs or you ask where you can nip out to buy hot food, they will let you know which towns have a stop where you can do that. The staff will also have their own experiences, so ask them for their tips and they'll often have a few good ideas for you too.